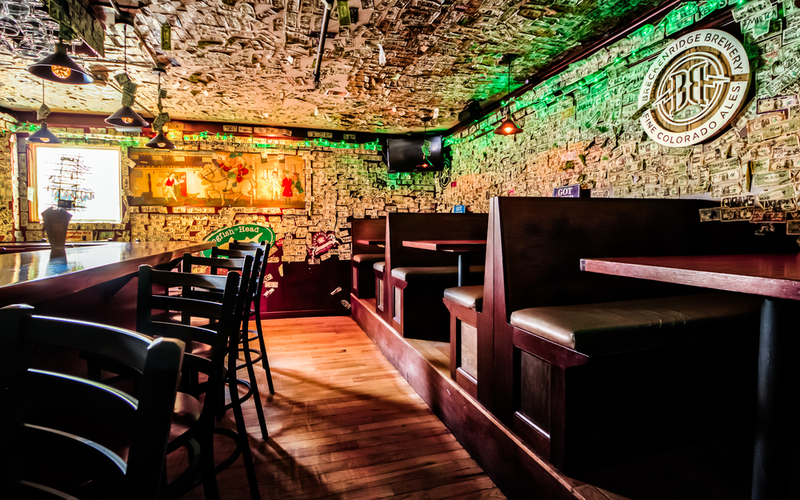 Located in the heart of downtown Wakefield, the Mews Tavern is one of South County's iconic establishments. 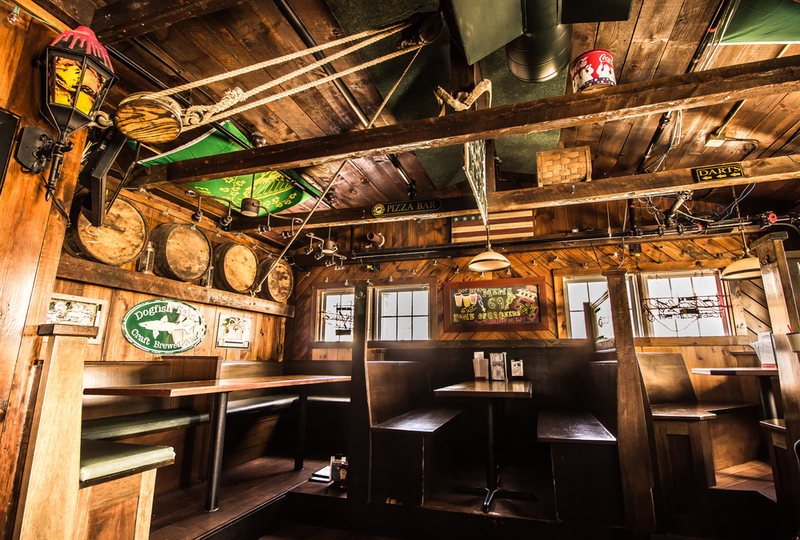 Originally a small fisherman's tavern which opened in 1947, owners Dave and Danny have transformed the building into a legendary Rhode Island restaurant and bar with something for everyone. The Mews boasts 3 unique bars, serving 69 beers on tap including many local micro-brews and rare + limited offerings. It is a staple for any beer lover. The extensive menu offers locally sourced seafood, meat and produce which changes seasonally to keep things fresh and interesting. Although regulars will likely say it's the familiar classics and fun atmosphere that keep them coming back time and time again. 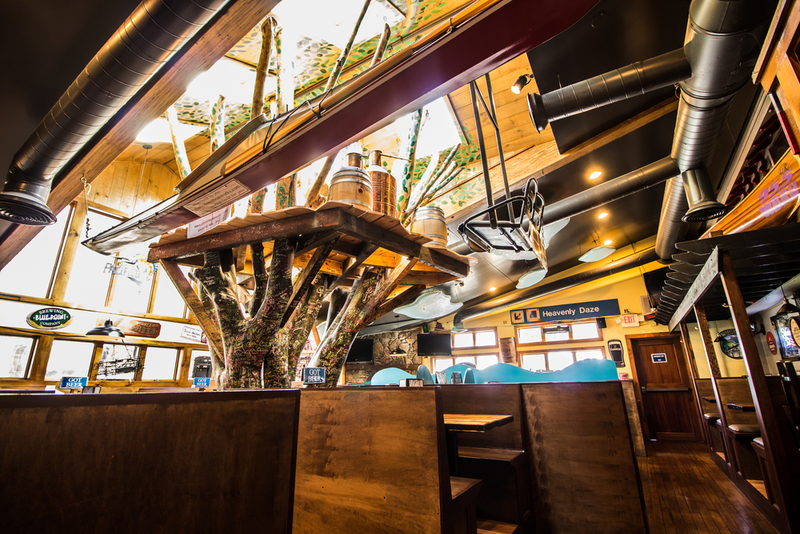 The full menu can be enjoyed 7 days a week in all 3 bars plus a large dining room affectionately known as the "tree room." There is so much history packed into the Mews, and that's why people from all over check in whenever they're in town. 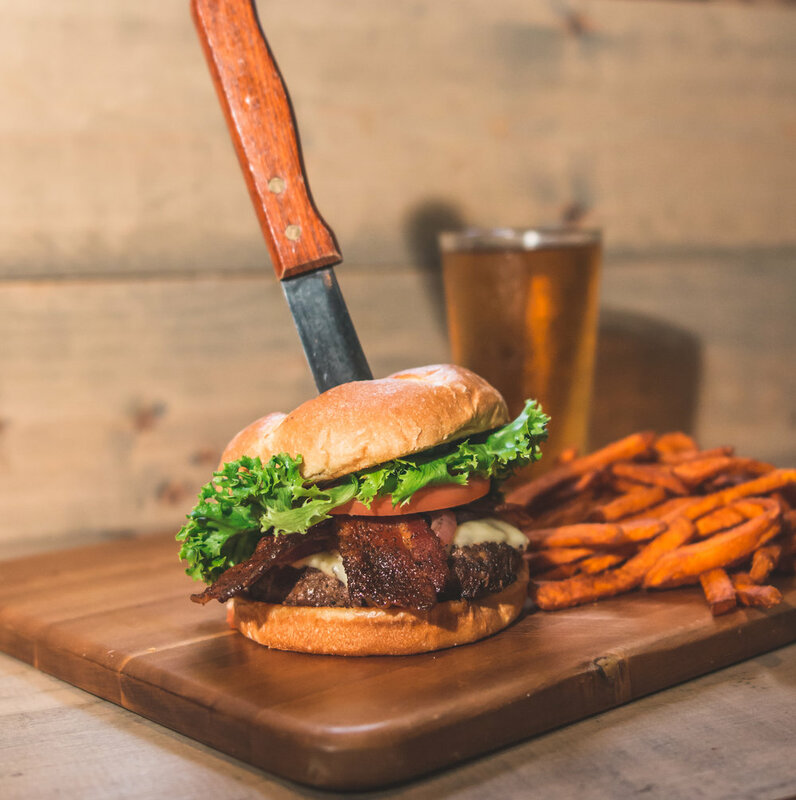 The Mews is proud to serve award winning burgers, pizza, wings and much more in a setting like no other. Join us anytime of day for food, fun and no crap on tap. The Mews now offers a convenient way to order take-out online or through our mobile app. Use the link below to easily begin your first order! For your safety, please continue to call the restaurant for orders containing food allergies. 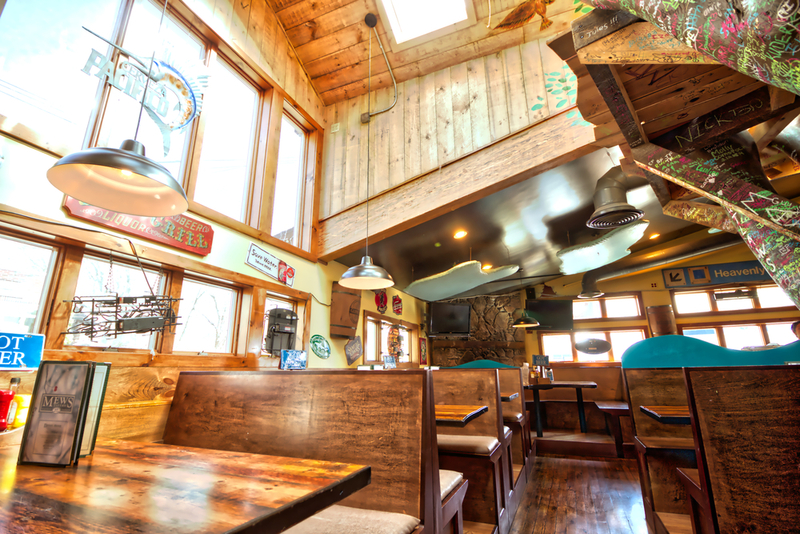 The Mews is proud to serve award winning burgers, pizza, wings and much more in a setting like no other. All sauces, marinades, and dressing are made in-house and we now feature house-smoked meats from our Southern Pride BBQ Pit. Our menu features 69 beers on tap with a wide variety of styles to suit any taste. Be sure to visit often because our menu is always evolving. Indecisive? Try a rack of draughts with your choice of 4 samples in 6oz tasting glasses.